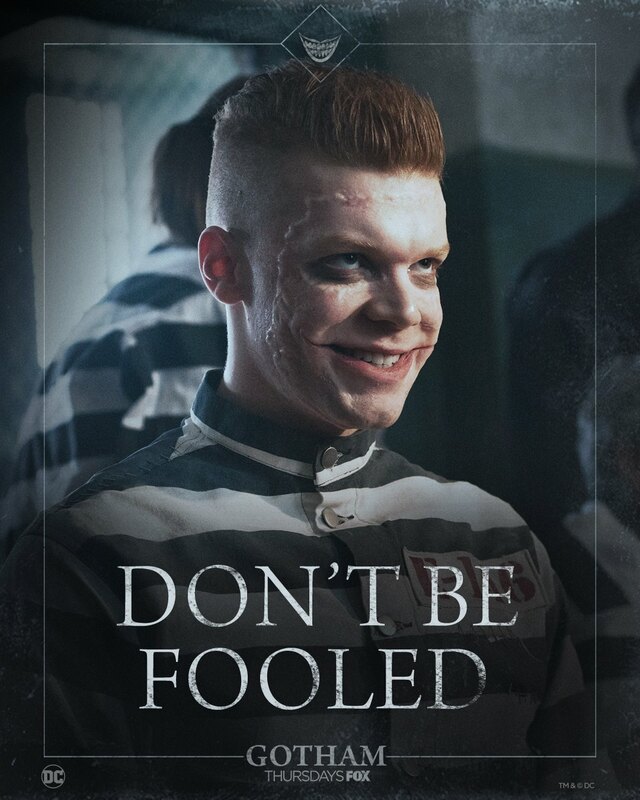 The end is rapidly approaching for the fan-favorite Fox Batman prequel series Gotham and to celebrate April Fool’s Day, the network has released a teaser for the upcoming final two episodes of the fifth and final season teasing the return of Cameron Monaghan as a horrifying new version of the classic villain The Joker. 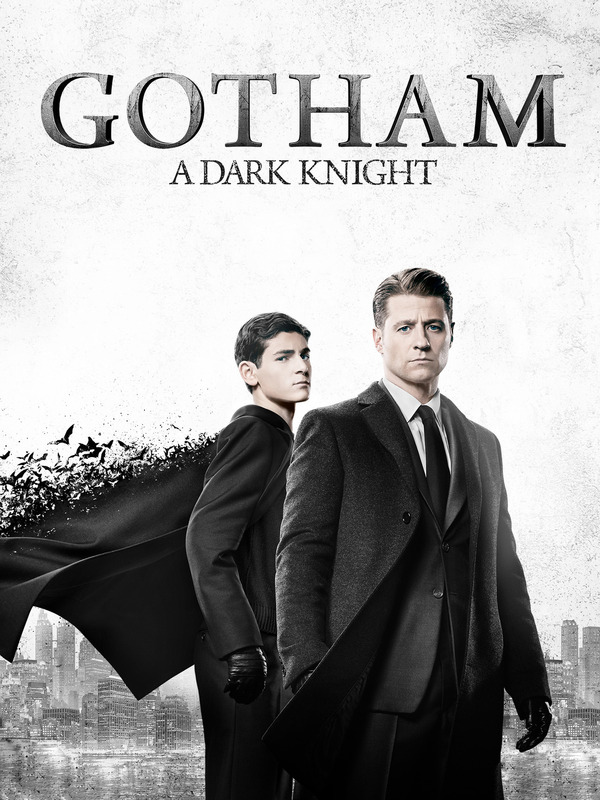 The series stars Ben McKenzie as Detective James Gordon, Donal Logue as Harvey Bullock, David Mazouz as Bruce Wayne, and Camren Bicondova as Selina Kyle/the future Catwoman. 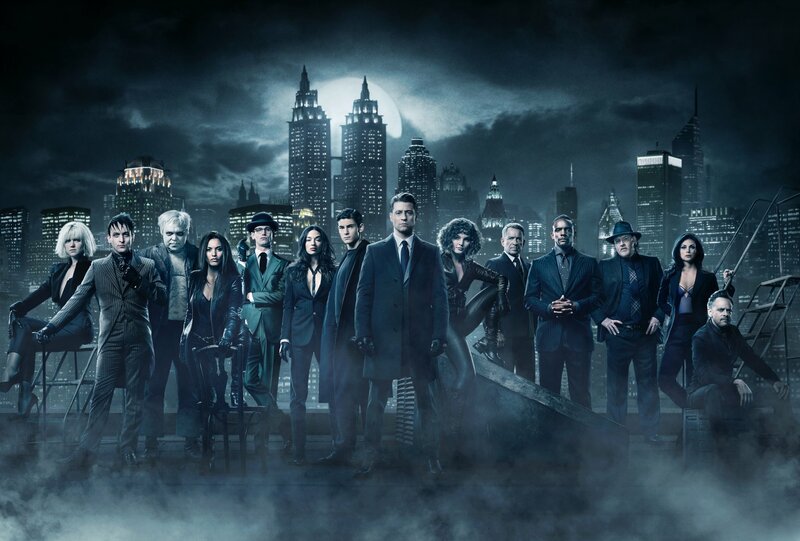 Gotham also features Morena Baccarin as Leslie Thompkins, Sean Pertwee as Alfred, Robin Lord Taylor as The Penguin, Erin Richards as Barbara Kean, Cory Michael Smith as Edward Nygma/the Riddler, Jessica Lucas as Tabitha Galavan, Chris Chalk as Lucius Fox, Drew Powell as Butch Gilzean/Solomon Grundy, Alexander Siddig as Ra’s Ah Ghul, and Crystal Reed as Sofia Falcone. The fifth and final season airs Thursday nights on FOX. The final episodes will return on April 18. Fox has released a new Gotham poster revealing Bruce finally suited up as the Dark Knight ahead of the final two episodes of the series. Gotham is based upon DC characters and is produced by Warner Bros. Television. Bruno Heller, Danny Cannon and John Stephens serve as executive producers on the series. The fifth and final season of Gotham airs Thursday nights on FOX. The final episodes will return on April 18. FOX has released a new Gotham Season 5 trailer revealing the return of Jeremiah Valeska (guest star Cameron Monaghan) in episode 5.07. The fifth and final season of Gotham airs Thursday nights on FOX. Gotham has released a preview of its upcoming fifth and final season with a teaser of what’s to come. As expected, things are looking bad for Gotham city, as key villains seem to be taking over the city. A now older Bruce Wayne (David Mazouz) offers the one glimmer of hope. 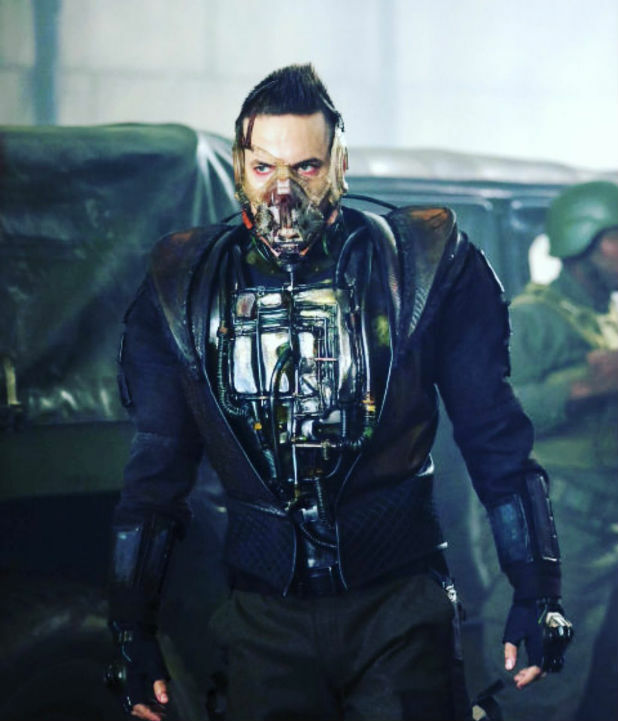 It was confirmed that actor Shane West’s character “Eduardo Dorrance” is actually none other than the back-breaking villain Bane, and in fact will end up inflicting his trademark injury on one of the characters in the series. It was also confirmed that the series finale for the show will leap ahead ten years in the future, featuring Bruce Wayne’s final transformation into Batman! 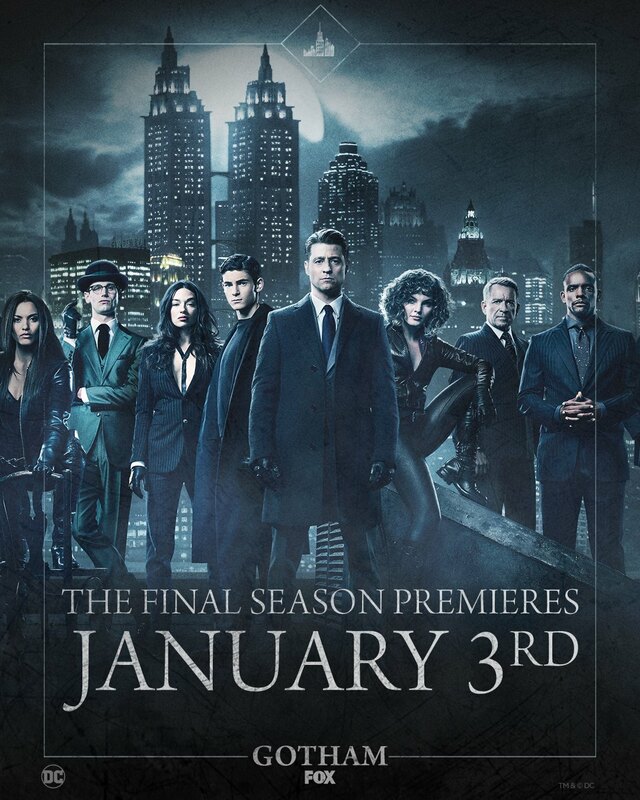 The fifth and final season premieres January 3 on FOX. 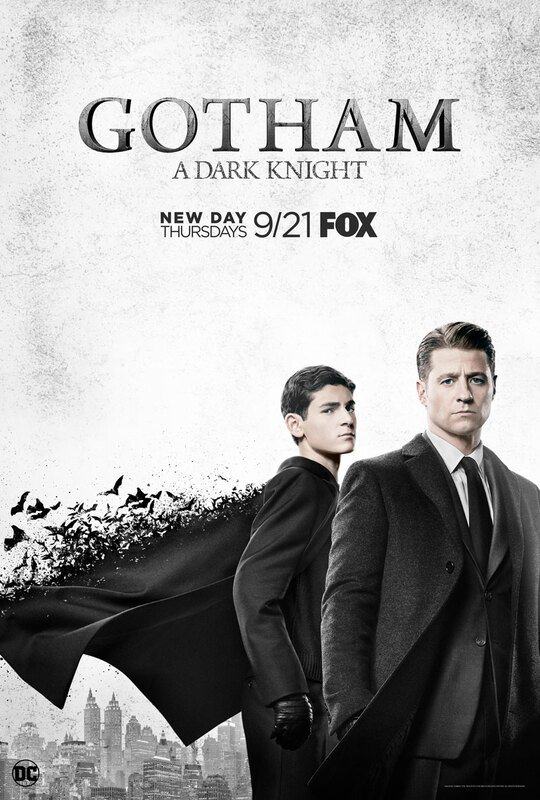 Fox announced its midseason premiere dates today and, in addition to setting Gotham’s premiere date as Thursday, January 3, 2019, they also revealed that the fifth and final season of the series will be getting two additional episodes going from 10 to 12. The final season of Gotham will feature the addition of the villain Bane, who will be played by Shane West. It’s also rumored that during this final season, Bruce Wayne will finally become Batman for the first time. Fox’s Gotham came to New York Comic Con to reveal new details on the upcoming fifth and final season for the Batman prequel, including a sizzle reel of past seasons and brand new footage from season five! At the panel it was confirmed that actor Shane West’s character “Eduardo Dorrance” is actually none other than the back-breaking villain Bane, and in fact will end up inflicting his trademark injury on one of the characters in the series. Finally, it was confirmed that the series finale for the show will leap ahead ten years in the future, featuring Bruce Wayne’s final transformation into Batman! Gotham stars Ben McKenzie as Detective James Gordon, Donal Logue as Harvey Bullock, David Mazouz as Bruce Wayne, Morena Baccarin as Leslie Thompkins, Sean Pertwee as Alfred, Robin Lord Taylor as The Penguin, Erin Richards as Barbara Kean, Camren Bicondova as Selina Kyle/the future Catwoman, Cory Michael Smith as Edward Nygma/the Riddler, Jessica Lucas as Tabitha Galavan, Chris Chalk as Lucius Fox, Drew Powell as Butch Gilzean/Solomon Grundy, Alexander Siddig as Ra’s Ah Ghul, and Crystal Reed as Sofia Falcone. The fifth and final season of Gotham is expected to air in January of 2019. FOX announced it has given the green light to Gotham Season 5 and also revealed it will the series’ last season. “The fifth and final season will wrap up this unique origin story of the great DC Comics Super-Villains and vigilantes, which revealed an entirely new chapter that has never been told,” FOX said in a statement. Although the network has not announced how many episodes the fifth season will have, it is believed to be a shorter, 13-episode season which would take the show to the 100-episode mark needed for syndication. The final season will focus on Bruce Wayne’s transformation into the caped crusader. FOX has released an extended look at Jerome Valeska’s return to the city of Gotham in the new Jerome ‘White Band’ Trailer. Gotham Season 4 stars Ben McKenzie as Detective James Gordon, Donal Logue as Harvey Bullock, David Mazouz as Bruce Wayne, Morena Baccarin as Leslie Thompkins, Sean Pertwee as Alfred, Robin Lord Taylor as The Penguin, Erin Richards as Barbara Kean, Camren Bicondova as Selina Kyle/the future Catwoman, Cory Michael Smith as Edward Nygma/the Riddler, Jessica Lucas as Tabitha Galavan, Chris Chalk as Lucius Fox, Drew Powell as Butch Gilzean/Solomon Grundy, Alexander Siddig as Ra’s Ah Ghul, and Crystal Reed as Sofia Falcone. 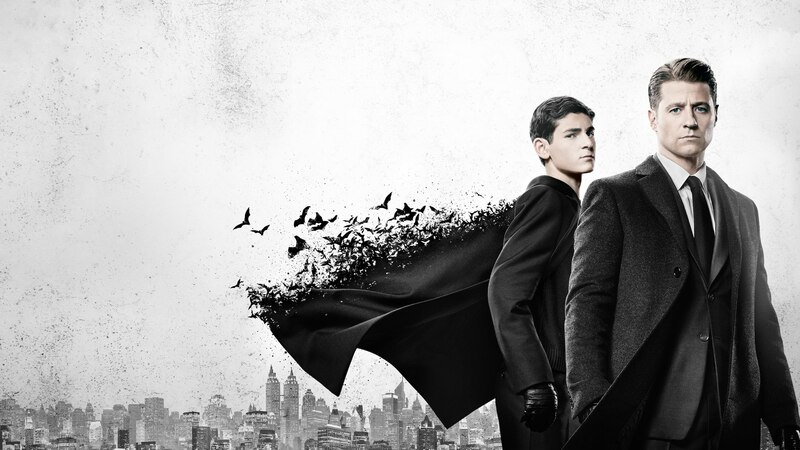 In a brand new video from Fox, Gotham star David Mazouz breaks down season 3, hints at the creation of Bruce Wayne’s Dark Knight, and talks about the troubles Gotham City will face in season 4. Gotham season 4 will witness the emergence of the criminal landscape for which Gotham City is best known, with Jim Gordon (Ben McKenzie) and Harvey Bullock (Donal Logue) at the forefront of the fight against the most depraved and unhinged villains. While Gotham City fights for normalcy, a new hero will rise, as Bruce Wayne (David Mazouz) begins to assume responsibility for the city’s well-being. Gotham season 4 stars Ben McKenzie as Detective James Gordon, Donal Logue as Harvey Bullock, David Mazouz as Bruce Wayne, Morena Baccarin as Leslie Thompkins, Sean Pertwee as Alfred, Robin Lord Taylor as Oswald Cobblepot/The Penguin, Erin Richards as Barbara Kean, Camren Bicondova as Selina Kyle/the future Catwoman, Cory Michael Smith as Edward Nygma/the future Riddler, Jessica Lucas as Tabitha Galavan, Chris Chalk as Lucius Fox, Drew Powell as Butch Gilzean, Maggie Geha as the future Poison Ivy, Benedict Samuel as Mad Hatter, and Michael Chiklis as Detective Nathaniel Barnes. Gotham season 4 premieres Thursday, September 21 at 8PM on FOX.